The term “elearning ecosystem” appears more and more frequently in eLearning writings. As a leader in eLearning, I like this metaphor—not because it’s scientifically-based and sounds cool (although it is and it does), but because I find the metaphor reflects some foundational changes influencing eLearning instructional design. Whether you’re a veteran with 20 years of course development experience or you just fell off the instructional designer (ID) truck yesterday, it’s important to understand we’re all at various points on the journey to becoming an expert instructional designer. As we go through the model in the rest of this post, see if you can place yourself somewhere along this path—and identify some specific projects you can work on to progress to the next level. At the novice stage, an individual works on becoming familiar with the needed skill sets for a profession. The “newbie” should focus on collecting procedures—putting together recipes for their version of an “eLearning Cookbook.” Read books and blogs, listen to speeches, enroll in classes, and take copious notes focused on developing a large repertoire of methods. Let’s pull in an analogy. Let’s say you inherit a beautiful red sports car (like Charlotte Vowden, who inherited her grandfather’s 1960 MGA sports car). You want to drive it, but it has a manual transmission—and you’ve never learned how to shift gears. So the car sits in your garage forlorn and covered with an old tarp. As a novice, you start collecting procedures—in this case, the owner’s manual and advice from experienced drivers. Your research tells you to start the car, put the transmission in 1st gear, and when the car hits 10 mph, shift to 2nd. Soon you discover the process involves more than just moving the gear shift from 1st to 2nd. There is this crazy clutch contraption and accelerator which requires the use of both feet. If you want to learn to drive the car (and actually get it out of the garage) you can’t rely on passive learning. Novices don’t have context for why they’re doing anything—they need to learn a contextual understanding of the different situations involved. The only way to develop that context is through active practice. This is true of instructional design—to learn it, you have to design. When you’re a novice, your immediate reaction when things go wrong may be to blame the manual. Without a good system for troubleshooting on your own, you can get stuck and not know how to solve the problem—in the middle of the intersection grinding the gears because you reached 10 mph and you’re trying to shift from 1st to 2nd. This is a scary place to be. The good news: as the novice gains experience following their “Cookbook” and gains more and more context of the skill, eventually they can start to move to the “Advanced Beginner” stage. Use your “Instructional Designer Cookbook” and design courses. You’ll make errors but try not to blame the recipe. Learn from feedback and develop skills through active practice. Once the novice can start to troubleshoot their problems and work on their own, they’ve graduated to Advanced Beginner status. The Advanced Beginner recognizes aspects of a situation. They begin to gain a feeling for what’s different, and they move through layers of abstraction to apply guidelines to solve problems. 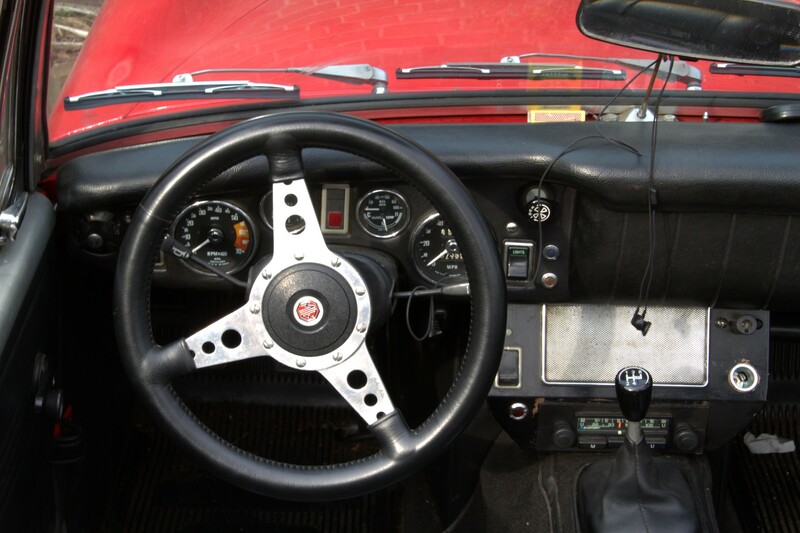 While a Novice probably doesn’t know what the engine of their sports car should sound like, after they drive a while they learn to identify situational cues. An Advanced Beginner learns to rely less on the speedometer to know when to “shift-up”—they’ve learned to rely on the feel of the car and shift when the engine reaches a certain rpm based on the sound. While the Advanced Beginner starts to understand the context of the situation and make decisions based off of that context, they still need to learn how to filter and prioritize their information inputs. Still, it’s easy for the Advanced Beginner to get overwhelmed by everything they feel they have to keep track of (especially as they absorb more processes and maxims). It can feel like they’re never going to master it. But eventually, with more exposure to the skill and more practice, the Advanced Beginner can start to determine which information is and isn’t relevant. Don’t panic. You’re beginning to get a feel for the context. Make decisions and don’t be afraid to learn from them. It’s normal to feel overwhelmed—don’t keep it all inside. Lean on your colleagues for support. As designers progress to the Competent stage they add more and more to their skill set. The processes and maxims become overwhelming. To manage the complexity, the Competent start using these resources to develop rules. They begin to find a sense for which rules to apply in specific situations. However, with the creation of rules comes emotional investment. You’re beginning to feel competent with your new sports car. You take it for a spin down a country road and apply rules to the situation. Curve Rule 1: Slow down when coming into a curve—focus on speed but keep your eyes on the approaching curve. Curve Rule 2: Keep your foot off the brake—down shift to slow then accelerate enough to keep the car stable. The feel of the machine—the wind in your face—the thrill of acceleration coming out of the bend! You’re exhilarated! Bring on the curves. The Novice and Advanced Beginner are largely detached, but the Competent becomes emotionally involved in the outcome. They experience joy at making the right choice and remorse at choosing the wrong one. The locus of blame becomes personal since they now feel involved in choosing what to do. Learn how to handle constructive criticism. It is not an assault on your person—listen and learn. Don’t close your brain by devoting precious mental resources seeking retorts to rationalize your actions. Control your emotions and use feedback as data to improve your decision-making process. This will allow you to move towards proficiency. Have you ever been in a driving situation where you can feel that something is not right in the “seat of your pants”? An internal alarm goes off in your head—but your brain seems to be in limbo. In the brief moment of indecision—the sports car loses traction and you spin out. You are consumed in a flash of frustration and anger. Welcome to the Proficient Stage. While the Competent Learner creates or finds rules for what to do in a situation, the Proficient Learner is absorbed enough in the skill to begin to intuit what is and isn’t important. They begin to develop a sense of the “big picture”—what the learning outcomes should be—but if they become aware of something not working, there’s uncertainty about what to do. The decisions are based on intuitive knowledge, so they become very personal when the brain momentarily stutters. Don’t beat yourself up because you don’t immediately know the answer. Focus on the problem. Control your frustration—when something goes wrong, don’t play the blame-game. Instead, look for solutions. At this stage, a mentor is particularly valuable—an expert who can provide guidance at just the right moment. Seek out that mentor and don’t hesitate to ask for advice. In the first four levels of expertise, the ID relies on analytical decision-making to consciously decide the best course of action; the expert intuitively knows what they should do and does it. They know what their learning outcomes are, what to do, and can visualize the expected result. They’re fully involved and invested in the process but emotionally under control. Since the expert runs on intuition, they know when something is just not working. They immediately respond with possible solutions but may have a hard time explaining why to non-experts. You are an expert—with Sports Car Club of America (SCCA) Road Rally trophies and pictures of the beloved red sports car on the wall—you’re the lead ID on the development. Don’t become arrogant—remember the journey and relate to others who are not at the same stage as you. It may be difficult to explain why you “just know,” but take the time to be the mentor others need. Now that we’ve looked at the five stages of becoming an expert, we can explore how it works in the eLearning Ecosystem. Some of the best longitudinal research on the Dreyfus Model comes out of nursing. (Benner, 1982; Brykczynski, 2010) Nursing is a very complex and highly technical profession that is in continuous flux. One of the significant outcomes of this research is the understanding expertise is situational—not all nurses are experts in every situation. The field of eLearning is becoming increasingly complex and technical with the array of educational technologies, authoring tools, and resources available. The professional arenas for which IDs are designing for are becoming more complex and technical as well. eLearning has become so dynamic that, like nursing, expertise is situational—not all IDs are experts in every situation. Many eLearning teams are built of individuals who each specialize in different areas, such as needs assessment, learning theory, media development, content authoring tools, UX writing, editing, and project management. Know each of your team members expertise and engage them when necessary. The eLearning ecosystem metaphor is appropriate—it reminds us of the multifaceted dynamics of the learning environments we design. To the leaders of eLearning teams: give the IDs the time and hands-on experience needed to become experts for specific eLearning ecosystems. Support their expertise and listen to them. To the expert IDs: remember you are not an expert in everything. You will move up and down the Dreyfus Model as you encounter different situations. When you find yourself in a new ecosystem, remember what it takes to become an expert. Are you a new instructional designer in the Novice Stage? Or have you gained the insights needed as an expert ID? How do you relate to the metaphor “eLearning ecosystem”? Tell us about your experiences in the Dreyfus model in the comments or on Twitter. Byrkczynski, K. A. (2010). Nursing theorists and their work. (7th ed.). Maryland Heights, MO: Mosby Elsevier. Dreyfus, SE & Dreyfus, HL. (February 1980). A five-stage model of the mental activities involved in directed skill acquisition. Washington, DC: Storming Media.